Please note that I am currently not accepting new clients. As a client, my goal is that you gain or strengthen the ability to more successfully navigate your world with effective tools and insight. 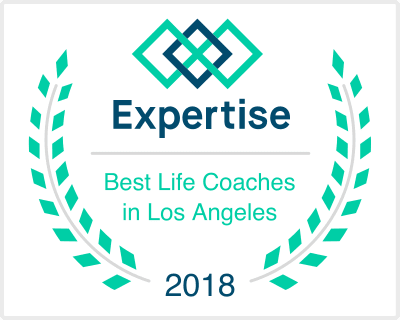 By attending Life Coaching sessions with me, you can sharpen your existing skill set to improve every aspect of how you approach your days. I offer a complimentary 5 minute phone session for us to collaboratively decide if we are a good fit. This entails you giving me a general summary of what is going on in your life so that I can provide you with an idea as to how the process would work specifically for you. I can also answer any more specific questions you may have about the process during this conversation. Standard sessions are generally one hour. I also offer longer or shorter sessions as needed and only charge for the amount of time used. In the initial phone consultation and first session, you and I will discuss your specific needs and goals in order to structure a plan that will focus on tangible results. Some clients find that just a few sessions get them to where they want to be while others are looking for longer term more insight-based work. It's completely up to you. I am available for in-person sessions at my office in Alpharetta, Georgia starting June 15, 2019. We can also schedule phone or FaceTime/video conferencing appointments. Loving life has no limits. If you are ready for change and believe that anything is possible, get in touch with me and let's make your life what you'd like it to be. Please note that if there will be more than one person who will be attending sessions, having their schedule information available when calling for appointments is helpful. If you can provide me with some time frames that work best for you and anyone else who will be attending sessions, I can give you appointment options. I have a standard 24 hour cancelation policy. Should you need to cancel or reschedule your appointment, please do so within this time frame so that you are not charged for one missed hour. If you miss your appointment and do not notify me of not being able to make it until after your appointment time has started, I charge for the missed hour. I generally recommend 1-2 hours for first appointments for couples and 1-1.5 hours for individuals. Appointments after the first one are generally about 1 hour. The shortest appointment I offer is 1 hour. I work with people from a wide variety of cultural backgrounds all over the world and conduct Life Coaching in English, Farsi, and Armenian. I accept cash, check, and credit cards for payment. My standard fee is $300 per hour prorated for longer sessions as needed. I charge for my time whether you're coming in as an individual, couple, or family. The time of your appointment begins at the time we set. I do not accept or work with any insurance companies.